"As publishers, artists and writers, we all have the same goal, which is to create a great story," said comic creator, Aaron Warner. For over thirty years Aaron Warner has been a freelance cartoonist and comic creator, many of those years were spent as a publisher and art director, critiquing LOTS of comic pages by many different artists before the pages went to press. After working with numerous artists in all genres of sequential storytelling, Aaron has found one common requirement needed to produce incredible comic pages...and according to him the best artists ALWAYS do this. "As publishers, artists and writers, we all have the same goal, which is to create a great story," Aaron stated in a recent presentation. "So when the writer supplies us with a great script, an artist should consider it a big block of marble...and now it is the artist's job to make the big block of marble into a sculpture that shows off how great the marble can be." The groundbreaking creator continued by saying how correcting proportions and emotions is where a lot of time is spent revising other artist's comic pages. And, of course, any comic artist also must design the story composition to be read left to right, top to bottom, which is comic storytelling 101. But Warner claims, "...one element is even more required and yet more difficult to train your instincts to recognize...yet will separate your work from ANY other artist who just likes to draw pretty pictures to get the job done." "The important thing for a comic book artist to do with each page is to consider the details of the script and discover what the story is that is being told in EACH PANEL...not only all the panels together, but in each panel there is a message, which plays an important part in the overall story, which is the artist's challenge and duty to embellish," explained the Reuben Award Nominee for Best Comic Book. "Think of what your job is to show the audience, and why they need the art, and plan the story within EACH PANEL that needs to be told. The reader needs your art because it will offer the other half of what the written words do not provide. The art should add something to the dialogue so the reader absorbs the story as if they were there: listening to the words spoken and seeing the actions of those speaking. As an artist, you are controlling the distribution of information. It is more than only drawing pictures of the characters with their mouths open in cool fight poses. 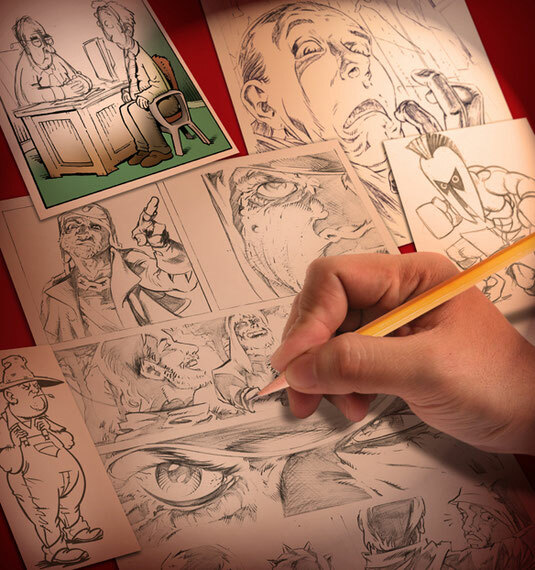 The comic artist must design the drama, the intensity, and the clues within each scene and each panel that will communicate to the reader something they need to know so the story is understood easily and clearly...and suspenseful if it's done right!" 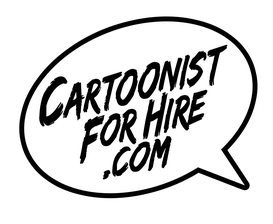 added the founder of www.CartoonistForHire.com where artists can be directly connected with clients offering art jobs. "Remember the idea is to find the message of EACH PANEL, then communicate that message by how you render that individual panel's action," Aaron reminds beginning artists and writers. "This is more than simply drawing pretty pictures; It is communicating. It is being the sculptor with the writer's marble block." 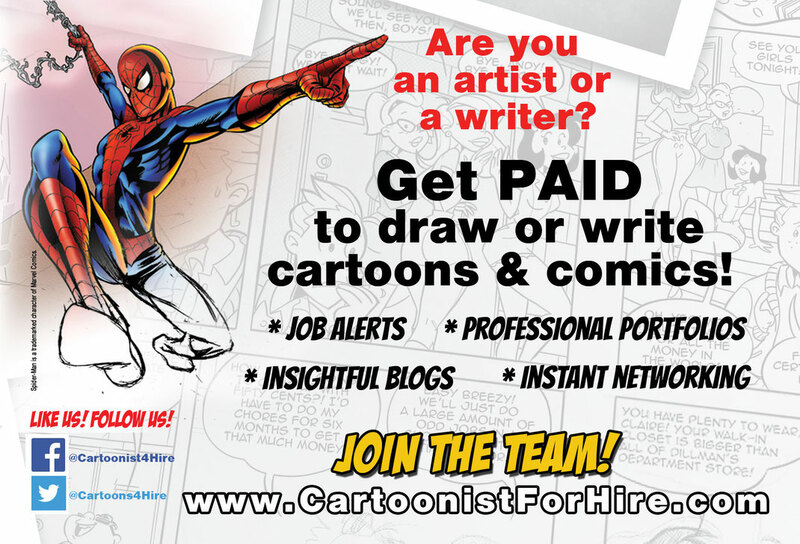 With this valuable insight revealed, now you have something to remember when creating your next comic book pages.